Think of it as a soundtrack for a voyage into space. You can almost feel the deafening sound of the thrusters and the g-force pressing you into your seat, followed by the weightless tranquility of space. Imagine traveling through meteor fields, past Saturn's rings, and into the infinite beyond. But if space travel isn't your thing, it's also good listening for getting work done. A soundtrack for riding your bike through the neighborhood on halloween night, chasing the demogorgon, hunting ghosts, or catching a movie with your rabbit sidekick. Suitable for driving along the coast, hanging out on the pier watching the tide go out, afternoon longboarding sessions, and post-surfing fish tacos. 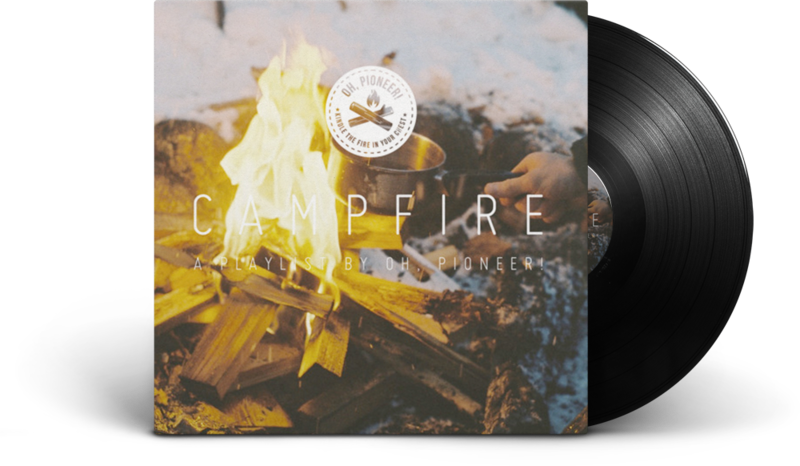 This playlist has been personally tested to be suitable for fireside chats in the woods, falling asleep in a tent, quiet nights reading, driving through the mountains, fly fishing, and whatever adventures you can get yourself into. A playlist for warm summer drives around town with the windows down, roadtrips to the beach, and afternoons around the pool. Specially-designed for driving mountain passes with the windows rolled down, this blend of ear candy is guaranteed to make your heart pound with adrenaline and your mind rush with the possibilities of exploration. Whether you prefer to traverse the high seas, or saunter quietly through the woods, this playlist will inspire you to take on your next adventure with gumption. This mixtape is perfectly designed for cold snowy (or rainy) days inside next to the fire with a blanket, a french press, and an old book. For when you come back in from playing in the snow to a smooth cup of hot chocolate, the feeling of blood rushing back into your fingertips, and the smell of evergreen. This playlist is perfect for crisp days inside reading a book curled up with a warm blanket, a fire, and a cup of coffee.. So grab a good book, snuggle up with that special someone next to the fire, and enjoy a lazy afternoon with these quiet songs.